In the words of Dr. Seuss, “Oh, the places you’ll go!” At Taylor King Law, we want to help ensure that you not only “go,” but that you go safely. Over the next few weeks, more than 3 million students across the US will graduate with high school diplomas. Graduation is an exciting time not only for students, but also for the parents and families who have supported and challenged them along the way. In fact, it may feel like a milestone for you as a parent as much it does for your teenager! It’s natural that you’ll want to celebrate, whether that’s with a small family gathering, a bash for everyone you know, or a weekend trip. With all of these celebrations, there also come risks. Drunk driving is a major problem in our country, and it’s not limited to adults. According to the 2013 Youth Risk Behavior Survey, 10% of high school students said that in the past 30 days, they had driven after drinking alcohol at least once. 22% of students had ridden in a car with a driver who had been drinking alcohol in the past 30 days. That means in any given room, 1 in 10 teenagers has recently driven under the influence, and 1 in 5 has ridden in a car with a buzzed or drunk driver in the past month alone. Even if you take alcohol out of the picture, statistics from the National Safety Council show that for teenagers, the risk of having a fatal car wreck increases 48% when someone climbs into the passenger seat. In other words, a car full of even the most soberly celebrating graduates is still a significant safety risk. Make it a conversation, not a lecture. Ask questions. Require adult supervisions at every celebration your child attends, and discuss beforehand with those adults whether alcohol will be served or allowed at the party. Set a curfew (yes, you can do that!) and stick to it. If your child and his or her friends want to keep hanging out past that time, offer to let them watch a movie at your own home. Remind your children that they can call you under ANY circumstances if they need help or a sober ride. Teenagers may make bad decisions because they’re afraid of calling and asking their parents for help. Make it ok for your child to reach out to you without fear. As the party host, you might assume that teenagers will find a way to drink, regardless, so you’d prefer it be at your own house where you can supervise them. Whatever the reasoning involved, the truth is that it’s illegal in Arkansas to allow minors (who are not your children) to drink alcohol on your property. Arkansas Code 3-3-219 defines this as being a “social host,” and you can face criminal liability for letting minors drink while at your home, regardless of whether you are the one who purchased the alcohol or served it to them. Please consider the consequences before allowing alcoholic beverages in your home with teenagers present. If you’re sending invitations, include wording that makes it clear that liquor will not be served or allowed at the party. Talk to your teen beforehand to make sure you’re on the same page. Ask a trustworthy adult to stand at the door and make sure guests aren’t entering with alcohol – or large, suspicious backpacks that might be hiding the bottles. Offer a variety of delicious, non-alcoholic beverages to keep taste buds happy. 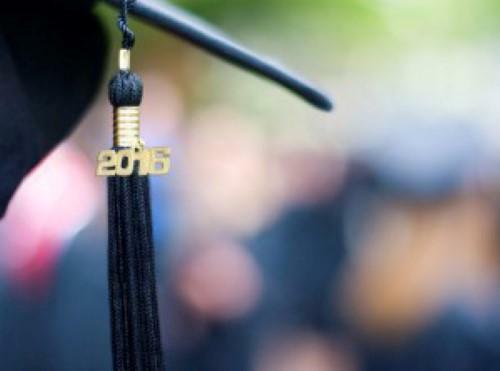 If you’re graduating or have a child who is, congratulations from all of us at Taylor King Law! We hope these tips will help make your celebration one to remember.